Chilean writer Alejandro Zambra is the author of My Documents, which was a finalist for the Frank O’Connor International Short Story Award, and three previous novels: Ways of Going Home, The Private Lives of Trees, and Bonsai. His books have been translated into more than ten languages and have received several international prizes. His stories have appeared in the New Yorker, the Paris Review, Harper’s, Tin House, and McSweeney’s, among others. 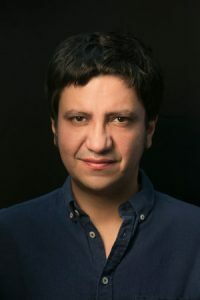 In 2010, he was named one ofGranta’s Best Young Spanish-Language Novelists, and he is a 2015–16 Cullman Center fellow at the New York Public Library. He teaches literature at Diego Portales University, in Santiago, Chile. Zambra’s reading, part of the Dillon Johnston Writers Reading Series, will take place on November 15 at 6:30 p.m in the Ring Theatre.